Posted by Trixie. February 13th 2015. Chatty and lovable, Balinese kittens can cat are an ideal companion with a physical grace that gave it its name. The Balinese Cat is so named after the graceful dancers of Bali, the Indonesian island. Its long-haired Siamese appearance could be traced to cross breeding between this beautiful breed and a long haired Persian or Angora but these roots are not certain and it could simply be a result of a mutation. 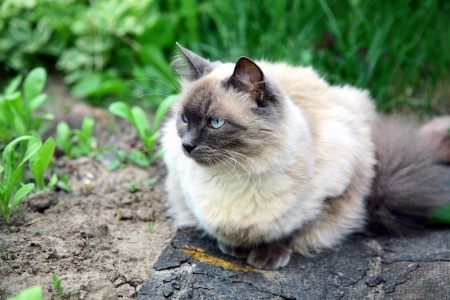 Proper breeding of the Balinese Cat emerged in the 1940s and 50s with official recognition across the feline world taking place in the 60s and 70s. Anyone could be forgiven for thinking a Balinese Cat was simply a long-haired version of a Siamese. The only real difference between these two felines is the fact that the former has long hair. The fur is longest on its tail which is plumed and luxurious. The Balinese has blue, almond-shaped eyes and has seal, chocolate, blue or lilac tips. It has a muscular body, long, slender legs and dainty paws. 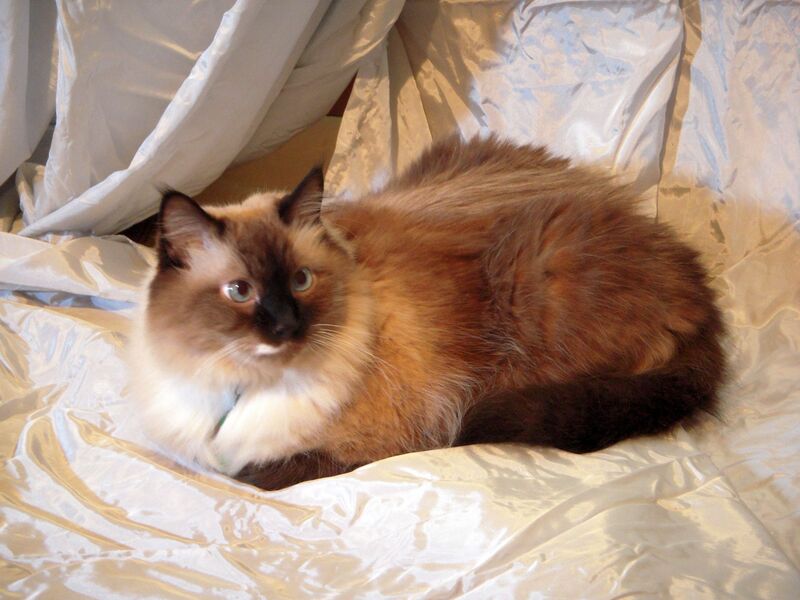 Its head is a distinct triangular shape bearing large alert ears although some Balinese Cats have more rounded heads and long fur which is fluffy rather than sleek. This cats weighs up to ten pounds on average. For anyone who likes the idea of waking in the morning with their Balinese Cat’s slumbering head on the adjacent pillow, then this cat is right up their street! It is extremely affectionate, nestling onto their owner’s lap when they watch TV and slinking under their duvet at night. It likes to accompany its owner wherever it goes and chats almost non-stop. In fact, if its cries could be translated it would probably be giving helpful advice about how to carry out the day-to-day tasks around the home. In a way, you could say that this cat is a bit of a gossip so it’s just as well that nobody understands it! A word of caution: this friendly, talkative cat tends to cling to its owner so may not be ideal for anybody who is unsteady on their feet as it tends to be underfoot a lot of the time. 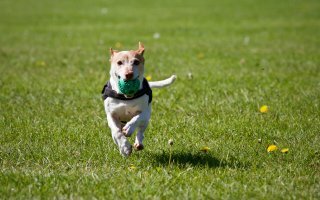 This breed is also very intelligent with an agile mind and loves to be entrained with puzzling cat toys. It will happily play with itself while trying to work something out and although it is happy to be left alone but will expect attention when its owner is around. A Balinese Cat is very athletic and loves to play with toys it can chase. It’s also a keen climber so it’s a good idea to have a cat tree at home. The cats are good at learning tricks and will tolerate walking on a lead. Some Balinese may even play fetch if you teach them how! The Balinese Cat can suffer from some genetic conditions such as asthma, heart problems, tummy issues and lymphoma. Crossed eyes are also fairly common in the breed. To keep the long hair of this cat in good condition, a twice-weekly comb is advised and will help remove dead hair and keep the coat sleek. Bathing is only necessary once in a while.